The Oppo Find 7 is expected to launch some time this year, we have been hearing about this new Android smartphone since June of last year. Now it looks like the Oppo Find 7 will be made official on the 19th of March in Beijing, of course Oppo has yet to confirm this date, although the company has been teasing it on Weibo. Previously we heard a number of rumored specifications for the Oppo Find 7, which include a 5.7 inch QHD display that will feature a resolution of 2560 x 1440 pixels. The handset is expected to launch with the new Qualcomm Snapdragon 805 processor, which will apparently feature a clock speed of 2.5GHz. Other rumored specifications on the Oppo Find 7 include 3GB of RAM and a choice of different storage options between 16GB and 64GB. 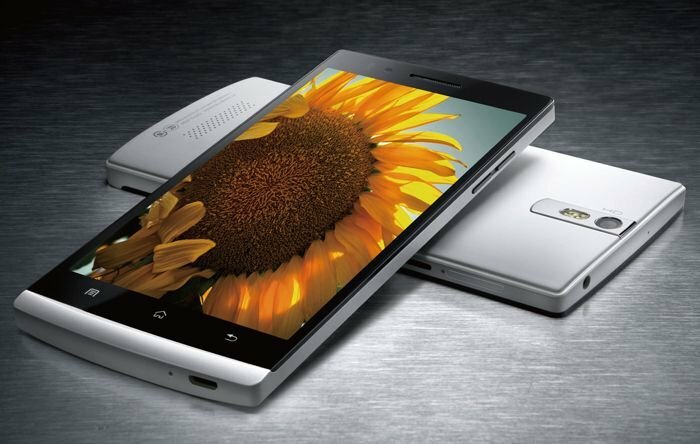 The Oppo Find 7 is also rumored to come with a 5 megapixel front facing camera for video calls and a rear facing 13 megapixel camera. The handset is expected to launch with the latest version of Google’s mobile OS, Android 4.4 KitKat, as soon as we get more information on the device, including some actual pictures, we will let you guys know.